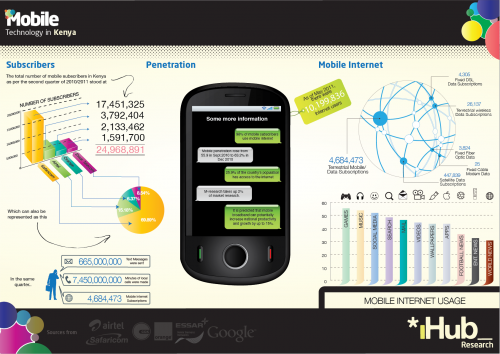 The research team at the iHub put together some stats on mobile numbers in Kenya. A special nod to Leo Mutuku for gathering it all from so many sources, and to Patrick Munyi for creating this cool visualization of it. Check out the iHub blog post to read the rest. Look for more infographics on the other East African countries soon.